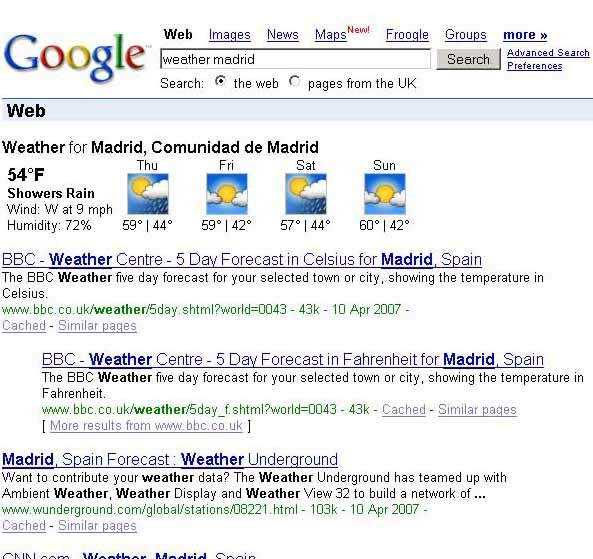 After several trials and false starts Google seems to have entered the weather information sector using its one box result. Major weather network sites like weather underground will be feeling the impact. Similarly, Google will impact the shopping sector with its increasing use of the one-box-result to integrate its other services like Froogle or Google Base ecommerce items.